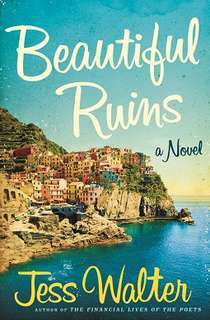 Many of the events in “Beautiful Ruins” take place in a fictional town in Italy’s Cinque Terre. I’m on a roll. Just finished a very good book by Willy Vlautin and moved on to an even better one by Jess Walter. And, oh, how I love to say that about Northwest authors. “Ruins” is Walter’s seventh book (he’s published eight) and there’s so much to like about it that I hardly know where to begin. Let me take one facet at a time. Walter tells an intricately woven tale of a young Italian man in 1962, who is swept off his feet by a tall, blond, dying American actress who arrives out of the blue one day to stay at his modest, nearly impossible to find hotel on the Italian coastline. The purpose of her visit and all the complications surrounding it become apparent as the story ping-pongs between Europe and the United States and we are introduced to other characters caught up in related events during the next 50 years. Aside from Pasquale, the starstruck Italian, and Dee Moray, the 22-year-old actress who’s landed a part in the Liz Taylor-Richard Burton blockbuster “Cleopatra,” we are introduced to a Hollywood movie mogul; his ambitious assistant; an aspiring screenwriter from Oregon; a WWII Army vet who’s a frustrated novelist; and Richard Burton himself, portrayed as the hard-drinking, hard-loving, womanizer he was in real life. The actress’ son, Pat, also figures into the story. Walter makes use of several literary devices to present different perspectives of the characters. In addition to the third-person narrative, there’s a chapter of an unfinished novel, a chapter from a rejected memoir, the first act of a screenplay, and plenty of internal dialogue to complement conversations that take place in English and Italian. If you’ve read Jennifer Egan’s “A Visit from the Goon Squad” you no doubt recall the chapter written as a PowerPoint presentation. The tools Walter employs spring from that same sort of creativity. I’m a methodical reader (synonym for “slow”), but I pretty much inhaled this 337-page novel. It’s a story exceedingly well told, with shifting viewpoints, locations and eras in time. The characters are utterly believable and through them you experience a gamut of emotions: hope, romance, longing, disappointment, betrayal, resentment, regret, redemption. Walter is a masterful writer (see tomorrow’s post for an example or two), utterly in command of his material. As a reader, I found myself rewarded time and again. I’ve been to Europe only once. As luck would have it, I stayed with Lori on Italy’s Amalfi Coast, known for its soaring cliffs and centuries-old homes tucked into the hillsides above the Mediterranean Sea. 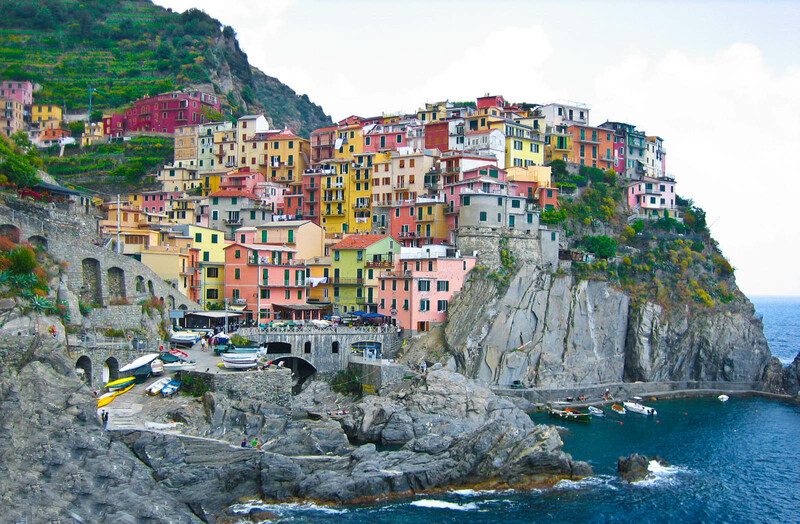 As a result, I have an appreciation for Walter’s description of the Cinque Terre — a stretch of five fishing villages along the Italian Riviera where “Beautiful Ruins” is based. One word: breathtaking. This entry was tagged amalfi coast, beautiful ruins, cinque terre, italy, jess walter. Bookmark the permalink. I really enjoyed this book too – I actually listened to the audiobook, and the narrator did a marvelous job changing cadence and accent for all of the various characters and time periods.